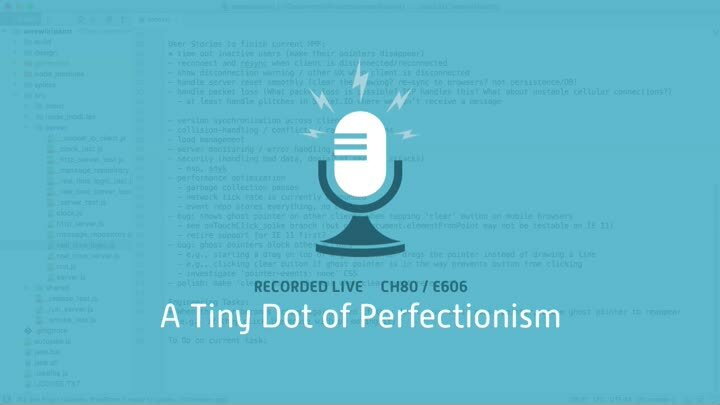 For our final feature in this series, a small bit of perfectionism. When a user’s ghost pointer times out, and they click the mouse, their pointer doesn’t reappear. It’d be nice if it did. We dig into our RealTimeLogic code, make some improvements, and write a test for our new feature.